Verizon reportedly suspended a worker for rescuing a cat that had been stuck on a telephone pole in Philadelphia, according to reports on March 23. Verizon said he “put his life and those around him in jeopardy” by doing so. Maurice German was working in Port Richmond when neighbors asked him about their cat, Princess Momma, which had been stuck on the pole for 12 hours, reported the Philly Voice. The owners of the cat had been trying to retrieve the animal since the early morning. They said they called animal rescue, the fire department, and other organizations without success, according to the report. In a video from CBS Philly reporter Steve Lindsay, German is seen rescuing the animal from the top of the pole. “‘Momma’ the cat is rescued in Port Richmond after a long ordeal. See how the community came together to get it done on #CBS3 at 11,” he wrote on Twitter. A video of the rescue went viral on social media. But then, in a statement, Verizon said it suspended him because he violated the firm’s safety protocols. No one was injured in the rescue, CBS Philly also reported. Verizon explained that its vehicles and equipment cannot be used in the area where he was working. 'NO JOY IN THIS JOB ACTION': Verizon says Maurice German put himself and others in jeopardy when he rescued a cat from atop a utility pole last Saturday. Young said the firm will make a donation to the Pennsylvania SPCA to show its support of animal rescue efforts. Verizon’s field technicians have to participate in safety training exercises to keep workers and the public safe, said Young. One woman, who said she lives nearby, slammed the telephone service provider. Neighbors are calling this Verizon employee a hero. “Last weekend a Verizon employee came to the rescue of a cat outside of my home stuck on top of the telephone phone. This generous man is now at risk of losing his job! Please share this photo and hashtag #verizon. Spread the word! This simple gesture can show the company that we support this man and his generosity,” Amanda Boyce wrote on Facebook. A GoFundMe was created for German, raising several thousand dollars in a few days. Social media outrage erupted after Verizon suspended German, mainly from people who appear to be animal lovers. For his part, German hasn’t commented on the matter. 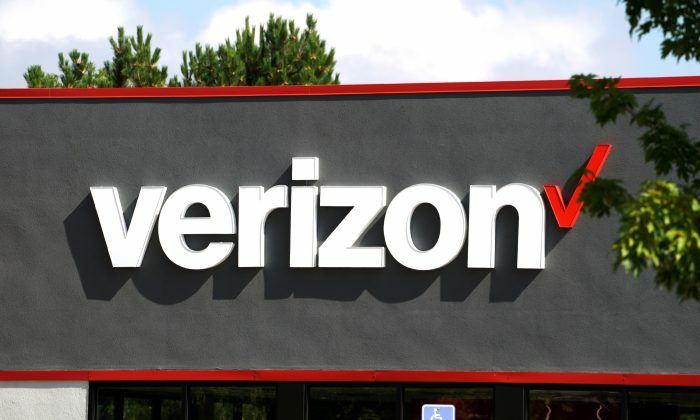 Verizon Communications Inc beat rivals AT&T and Sprint in the race to launch the first fifth generation mobile services in two cities in the United States at an additional cost of $10 for customers with existing unlimited plans, according to Reuters. Users in Chicago and Minneapolis will be able to avail the 5G wireless network from April 11 by using a Motorola Z3 mobile and a 5G “Moto Mod,” a physical magnet-like attachment for the phone, the telecommunications company said.